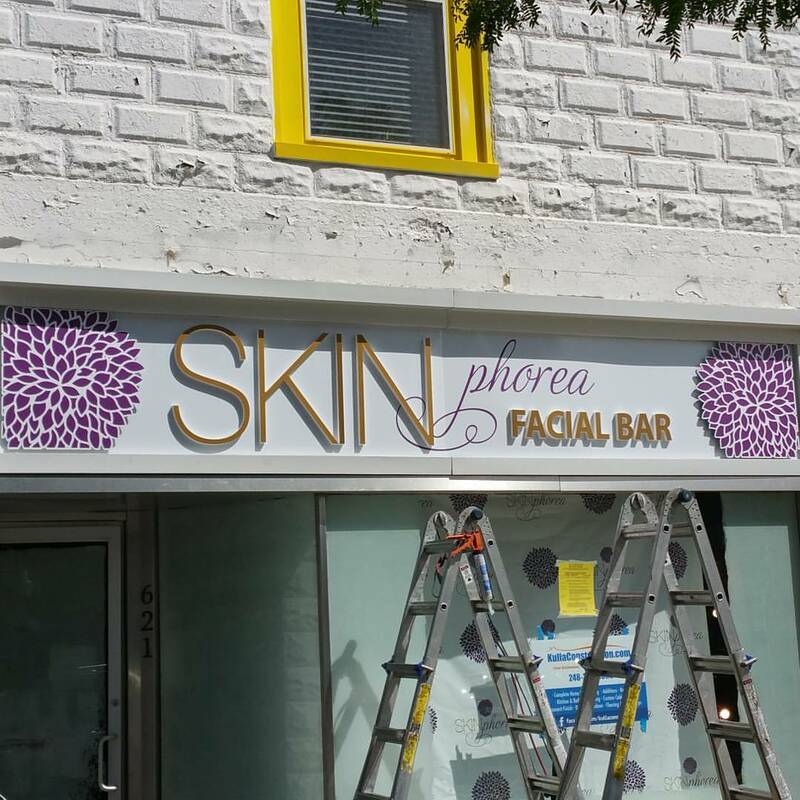 Skinphorea is proud to announce a ribbon-cutting ceremony for their first brick and mortar location, on Thursday, October 13, 2016 at 5 p.m., at 621 S. Washington Ave. in Royal Oak. Skinphorea’s mission is to provide women with a unique and euphoric skin experience. 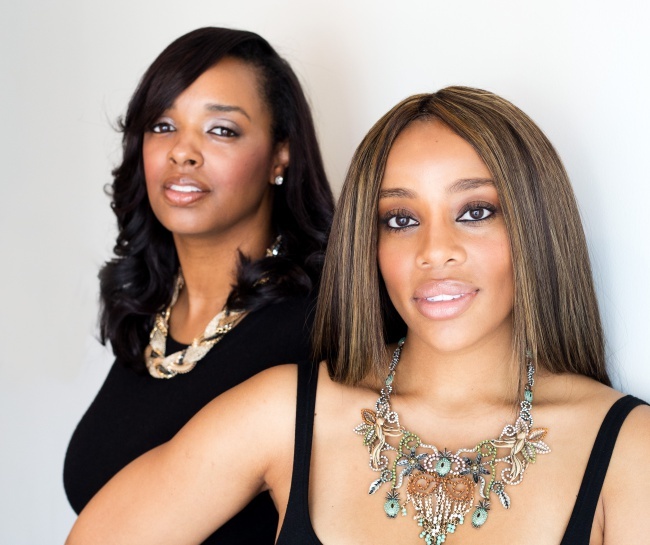 Co-owners Shareese Shorter and Jessica Stallings are ready to take facials to the next level. What motivates you to continue to promote healthy skin? (SS) Our skin is who we are and we must take care of it, most of us want to live until we’re 102 years-old, and not look like we’re 102. Taking care of your skin is the only way to do it! (JS) Shareese and I noticed the overload of everyday people that worsen their skin conditions because they’re taking advice from Pinterest and other forms of social media and from people that sell skincare products but have no real knowledge regarding the science behind skin. You can buy skincare products from anywhere, you can go to any spa and get a great facial, but true education is far and limited, so we knew education had to be our main priority. (JS) We wanted to bring something different to the Metro Detroit area; a facial bar with a “Happy Hour” feel. Most beauty bars attempt to be a one-stop shop and deliver every a broad range of services. We didn’t want to be the spa that was good at doing everything, but instead specializing in one-thing, which is skincare and being great at it. Skinphorea’s number one goal is to provide education to our customers regarding their skin concerns and but provide treatments that will make a noticeable difference. We will provide express facials within a bar setting that will include chemical peels, enzyme peels, LED light therapy, microdermabrasion, oxygen facials, back facials, facial and body waxing, eyelash extensions and private party rentals. We have a complimentary juice bar with options to choose from that will target your skin concerns. And did I mention, our products are all natural, no parabens, no fragrances and we have a large selection of Vegan products and services. How does care for African American skin differ from others? Its important that we understand the needs of our skin so we know what products are going to bring out our skin’s natural beauty. For instance it’s important that women with oily skin understands what products will reduce the excessive shine, or for women with dry skin to know what moisturizers she can use that will moisturize the skin without causing unnecessary breakouts. Shareese hit the main point! We need to understand that skin is our largest and fastest growing organ. It is something we have to live with and look at every day for the rest of our lives. Why not take care of it properly instead of always having to cover it up. Makeup can only do so much! African Americans do have to care for their skin differently. We produce more melanin (its what gives us our tans easily). So whenever there is trauma to the skin, we usually deal with hyperpigmentation (those pesky dark spots). Therefore, we have to take a more progressive approach rather than aggressive. No harsh chemical peels without pre treating skin. Most of us were not taught to wear sunscreen but it is a MUST that we wear it every day! 90% of aging is caused by the sun and yes that is even with ethnic skin. We get dark spots while Caucasians experience more wrinkles as the sun breaks down collagen. What are some of the common mistakes women make when it comes to their skin? We tend to use what works for our family and friends. There is no way to properly treat your skin without knowing your Skin type and condition. What works for me might cause more irritation and issues for someone else. Consultations are a must. If you receive a facial and they didn’t ask questions and provide a thorough consultation, how in the world would they know how to treat your skin? How can someone make an appointment? Making an appointment and getting in contact with Skinphorea is easy, you can visit our website www.skinphorea.com or all us at 248-592—SKIN. Remember to like us on Facebook and follow us on Instagram @Skinphorea!